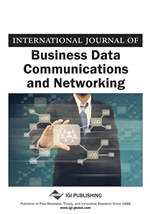 This article proposes a scheme for scheduling real-time video packets through different paths in a QoS negotiation system, where active users have specific amounts of bandwidth negotiated with the network by each available interface. The considered QoS negotiation system implements a time-slot division strategy, to allocate the negotiated bandwidth to users. We claim that an efficient scheduling strategy is essential to exploit the features of mobile computers equipped with multiple wireless interfaces, which can be used simultaneously for transmission of data belonging to a single application, while minimizing the reordering delay at the receiver side due to transmission of data via multiple-paths with varying characteristics. A new scheduling mechanism is developed by taking into consideration such QoS systems. The effectiveness of the scheme is verified and compared with the most popular scheduling schemes through extensive simulations. The results demonstrate that our algorithm outperforms the former scheduling algorithms effectively.